Here are some Cultivate the City rascals, with whom we shared a table at the 2017 Rooting DC Conference last Saturday. 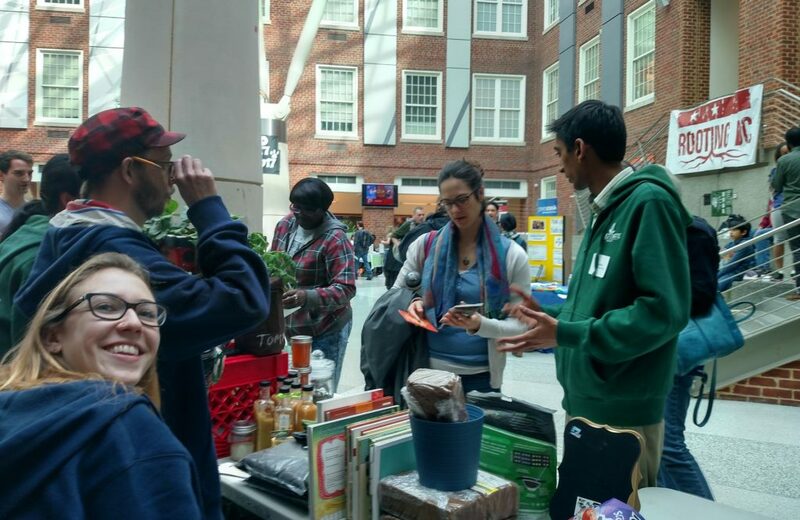 Rooting DC is an annual forum for urban ag folks looking to make DC’s food system healthier. Click to see Rooting DC’s great map of the DC Food System… Hey, we gotta put some aquaponic systems on that map! 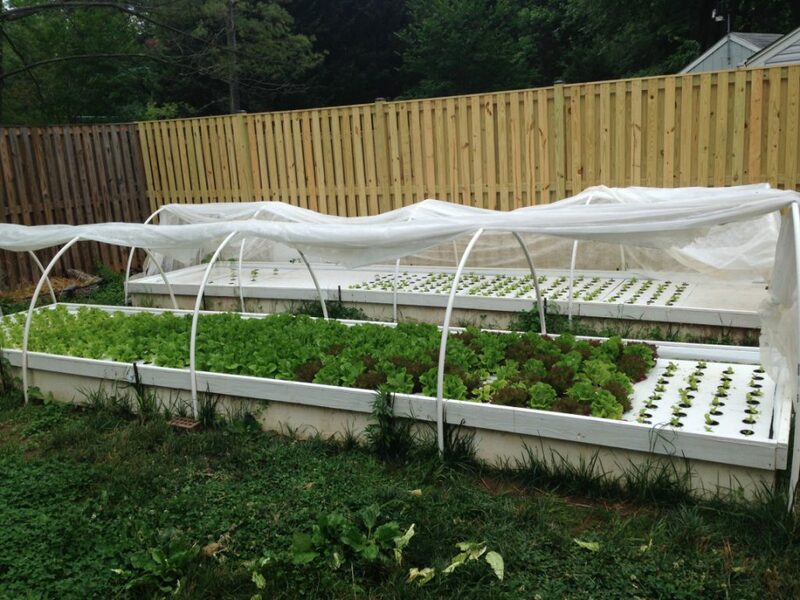 Check out Jimbo’s backyard aquaponic system in Northern Virginia. Jimbo is pushing the limits of personal food production — his system can grow about six-hundred heads of lettuce at a time in his own backyard! He uses a 300 gallon IBC Tote as his fish tank, and two 20 x 4 grow troughs for his plants. Our country relies on a wasteful and inefficient food system that contributes to pollution, resource depletion, income inequality, and poor health. Jimbo shows how we can use aquaponics and permaculture methods to produce more of our own food on our own terms! Visit the Tomahawk Permaculture website for more info. Will Aquaponics Remain Organic Eligible? Author AdminPosted on January 13, 2017 Categories aquaponic policy, aquaponics industryTags urban agricultureLeave a comment on Will Aquaponics Remain Organic Eligible? You see, in our economic system we don’t account for the hidden costs of food production. Aquaponic producers have difficulty monetizing their benefits because industrial agriculture producers have an implicit subsidy to use as much water, carbon, pesticides, fertilizers, and antibiotics they want! Even a conservative economist should support public actions to force producers to internalize these costs of production so that others don’t have to pay later. Click the link below to check out a PDF presentation by Anacostia Aquaponics Director Brian Filipowich on this topic. It was given at the Aquaponics Association conference in Austin, TX this past November. 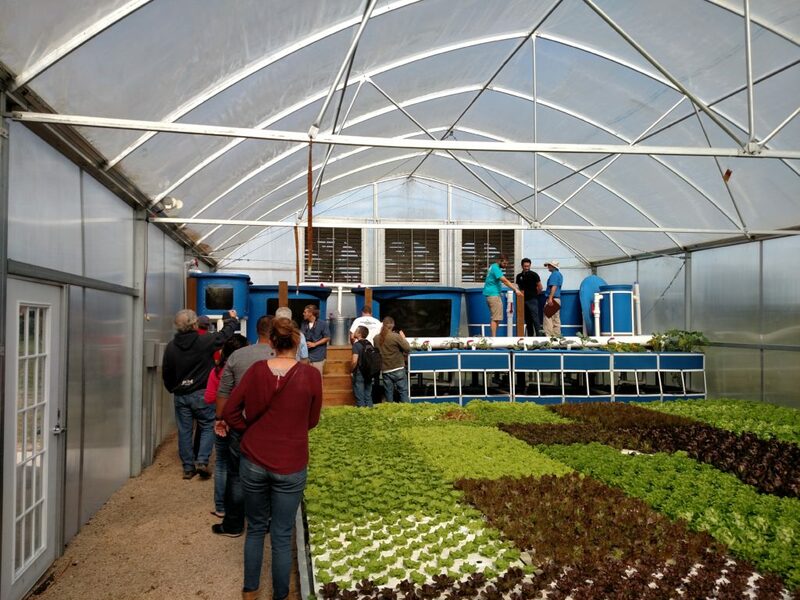 Pic from the farm tour at the Aquaponics Association 2016 Industry Conference last weekend in Austin, TX. This is only a small corner of their greenhouse! The Washington Post Boosts Tilapia! The Post found that tilapia has an unfair bad rap, and this should make us aquaponic folk angry! Because its costing us! The article states: “Tilapia, in short, is an environmentally friendly, lean, low-calorie source of protein. We need all of those we can get.” And they did a taste test among some top Washington, DC food gurus; tilapia ranked 2nd of 6 among similar types of fish. The commercial performance of tilapia is important to the success of the aquaponic industry. Tilapia is the most commonly used aquaponic fish because of its ability to withstand wide variances of ph, temperature, and water quality. And cuz its a quick efficient grower. In a 2015 survey, Commercial Aquaponics Production and Profitability, Findings from an International Survey (Love et al, 2015), researchers found that 69% of respondents used tilapia. While tilapia is not as healthy or delicious as salmon, it is a lean source of healthy protein. Aquaponics offers us a way to grow this lean healthy protein locally, even in urban areas. This could have dramatically positive repercussions for our health, environment, and economy. But, perversely, these fish are more of an economic liability than an asset for most aquaponic operations, as found in a 2015 paper: Economics of Aquaponics (Engle, 2015). Right now, tilapia is undervalued because of consumers’ misconceptions (which stem from poor-quality chinese tilapia imports). We need to show consumers that tilapia – when raised appropriately – is healthy and tasty. Then the price of tilapia will rise like the water in your media bed! For some aquaponic operations, an increase in the price of tilapia will have a significant effect on their bottom line. Author AdminPosted on November 3, 2016 Categories aquaponic policy, aquaponics industryLeave a comment on The Washington Post Boosts Tilapia! The National Organic Standards Board is considering revoking aquaponic and hydroponic organic eligibility. We feel strongly that AP/HP – if practiced accordingly – embody the spirit of organic that consumers expect when they see the organic label: 1) AP/HP are highly sustainable and employ nutrient recycling; 2) AP/HP do not need synthetic fertilizers, pesticides, or antibiotics; and 3) A large body of research shows that the roots of hydroponic plants contain the same quantity and diversity of root bacteria as soil plants, which is central to organic’s “soil-plant ecology”. And, finally, if we’re going to make necessary changes to our food system we have to retain incentives for new sustainable growing methods, rather than taking away incentives — banning AP/HP would be a step in the wrong direction.